In the first place Roman Blinds comprise a very opulent window treatment. By the same token, the blinds add a sumptuous feel to any room. For the most part they provide a focal point in any room. In essence panels lie flat when down. Once pulled up, the panels fold up into horizontal folds. On the back of the blind, sewn pockets aid in keeping the shape. The blinds remain straight as a result of rods at the back of the blinds built into the pockets. Over the years their popularity has gone from strength to strength. Particularly in bedrooms or front rooms. The construction consists of the main fabric, lining and head rail. The cost starts with the choice of fabric. The choice of operation, be it chain or motorization. 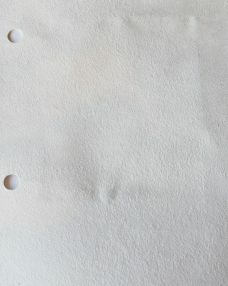 Added to this the choice of lining, although standard lining is part of the basic cost. Depending upon the lining chosen, this is added to the basic blind. The design of printed fabrics is not guaranteed to be centralized, although an effort to centralize pattern less than one width wide. 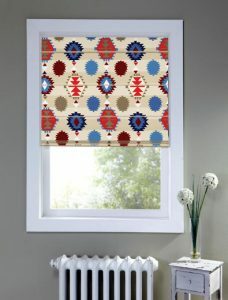 Blinds in sizes over 1300 mm wide, two equal vertical joins unless the fabric is turnable. 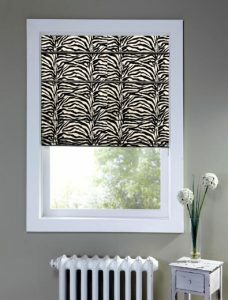 Blinds to be fitted side by side so that the pattern match on each blind across the window cost more to construct. 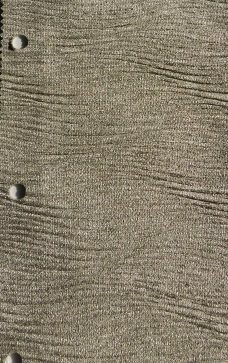 As a result, pattern matches incurs an additional 10% per blind to reflect the fabric wastage and work in construction. The price for these blinds reflects the amount of work involved in producing these items. In fact, Roman Blinds are ideal for long thin windows. Alternatively, wide windows, look better hung with two or more blinds next to each other. Unlike bay windows, whenever possible hang a blind in each section. 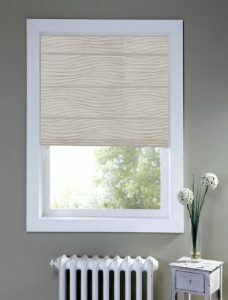 Generally speaking, basic lining forms part of many blinds. 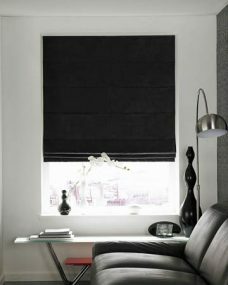 However, additional options such as Standard Bonded Lining forms part of the construction modern Roman Blinds. Other options such as, standard blackout lining provides an alternative. Important to take into account that pin holes may be visible. 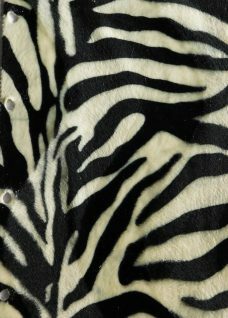 In effect, where the lining has been sewn or tacked to the face of the fabric. Fire retardant lining options either standard or blackout is available. 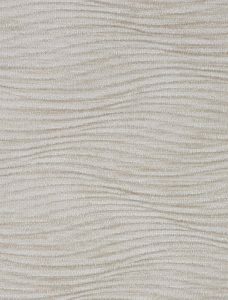 Additionally, interlining adds a real sumptuous feel to any fabric. 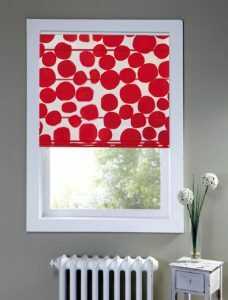 it softens the blind further, but also adds weight to the main fabric. Choice of lining is dependent upon fabric suitability. Because of Regulations, all Roman Blinds arrive with Child Safety Devices. With this in mind, installation of a safety device is paramount. NB Due to colour variants between products, colour match is not be always guaranteed. 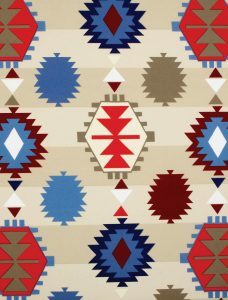 The nature of some restrictions within the manufacturing process do not allow for the vertical symmetry of a patterned fabric. Notably, straightness of the horizontal design is not always guaranteed. 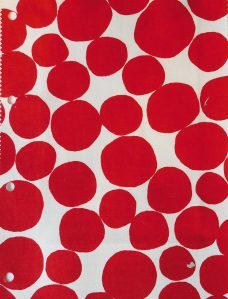 The design of printed fabrics is not guaranteed to be centralized. As a result this must be remembered for multiple blinds in a room. Of real importance, over time they may alter in shade and size. 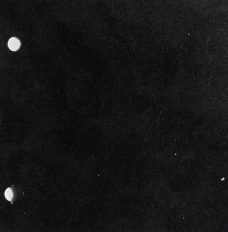 In addition, as a result of environmental conditions blinds may adjust. With this in mind, the situation can’t be avoided and occurs as a result of the fibers in the fabric during the manufacturing process. All Roman blinds are made to measure. Another key point is the cost of Roman Blinds. Request a sample to check suitability. Living in Milton Keynes? We bring the collection to you.